Manufacturer of a wide range of products which include nickel alloy plates, nickel alloy fasteners, nickel alloy pipes and nickel rods. 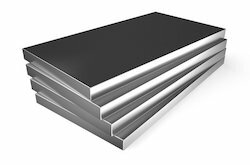 Having enormous knowledge in this sector, we are engaged in offering a premium quality Nickel Alloy Plates. These products are manufactured using the best grade raw materials and cutting-edge techniques. Their sturdy construction, seamless finish and longer functional life make these products highly demanded. 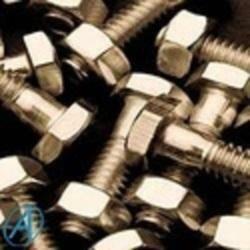 We have earned immense reputation since our establishment by providing Nickel Alloy Fasteners to our customers. It is used for various fastening applications. It is designed and manufactured using superior quality nickel alloy by using modern machinery as per the set industry norms. 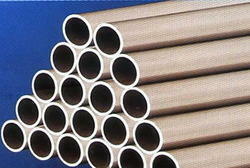 Being a quality centric enterprise of this domain, we are affianced in offering Nickel Alloy Pipes. It is used for transporting of fluids or gases in various industrial applications. This products are designed and developed using finest quality nickel alloy at our vast infrastructure unit. 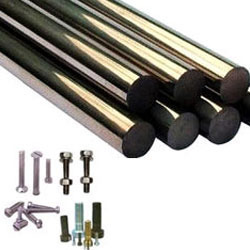 With diligence, our reliable and quality oriented organization has been engaged in providing Nickel Rods. These products are known for their dimensional accuracy, seamless finish, high tensile strength and corrosion resistant. We use high quality raw material procured from reliable vendors of the market and ultra-modern machinery to design the offered product.